The Kamfari is held annually by DMCC. The Darwin Motor Cycle Club was formed in 1947 and through various changes has been the home of dirt bike riders ever since. Now DMCC Incorporated, it holds Moto-X Enduros, Pony-express's and trail rides on various track in and around Darwin and the N.T. 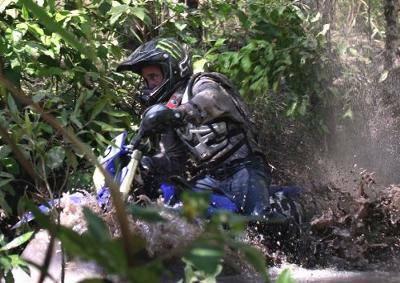 1st of May....Kamfari; 4 hours of mud mayhem. 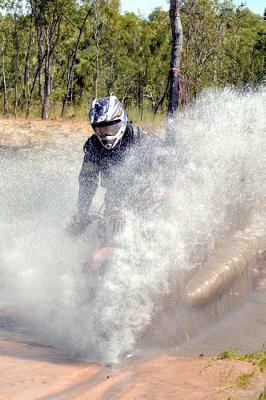 Riders on their machines fight the mud and slush just south of Darwin near Black Jungle. Bike and quad competitors are on their own and not allowed any help. Food, drinks and bar on site. 2 helicopters for sight seeing. Drive down Gunn Point Rd. till the end of the bitumen and then 4 and a half kilometres further on. Road conditions suit normal family cars. This is the 40th Anniversary of this race. Admission is $10.00, No dogs and no glass allowed. Join in and write your own page! It's easy to do. How? Simply click here to return to Darwin 2012 Calendar.